No more friction between tyre and tube. New exclusive 11 Storm compound reaches the best balance of grip and low rolling resistance. Lighter than clincher tyre + tube combo. 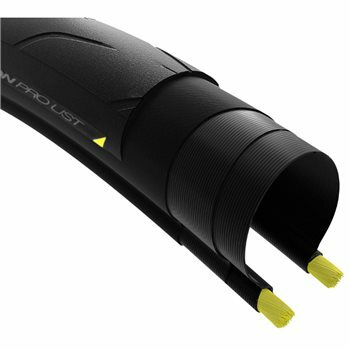 Perfect match guaranteed with Mavic UST Wheel-System. Tight control over beads diameter and stiffness. Kevlar beads stretches just enough for easier mounting. Weight - 260g for 25mm and 290g for 28mm version respectively.